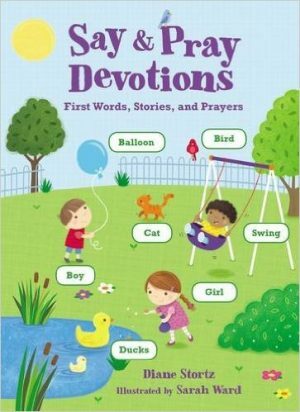 Introduce little ones to God’s world, God’s gifts, and God’s love with this devotional specifically designed for babies, toddlers, and young preschoolers. Say & Pray Devotions includes 20 short devotions (just one or two sentences), a simple Bible verse, and a brief thank-you prayer. And just like the bestselling Say and Pray Bible, this sturdy board book has labeled objects in every illustration to encourage your little one to point, name, and find as you read together.